by Anthony Biglan Author · Steven C. Hayes Author of introduction, etc. A fascinating look at the evolution of behavioral science, the revolutionary way it's changing the way we live, and how nurturing environments can increase people's well-being in virtually every aspect of our society, from early childhood education to corporate practices. If you want to know how you can help create a better world, read this book. 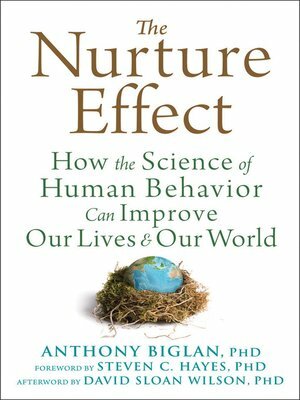 The Nurture Effect details over forty years of research in the behavioral sciences, as well as the author's own research. Biglan illustrates how his findings lay the framework for a model of societal change that has the potential to reverberate through all environments within society.